Barrie Anne Blythe and her aunt Charlotte have always known that the other residents of their small coastal community find them peculiar — two women living alone on the outskirts of town. But two events threaten to upend their lives forever. The first is the arrival of a mysterious abandoned baby with a hint of power like their own. The second is the sudden reappearance of Barrie Anne’s long-lost husband — who is not quite the man she thought she married. I am so, so sad to be DNFing this book. I have never 5-starred a DNF review before, but I am with this one. 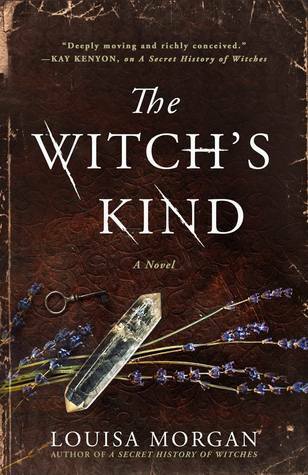 It’s a gorgeously written story and the witches in it are so wonderful. I honestly adore 95% of this book, but the 5% that I personally cannot handle is the only reason I’m putting it down. There are major trigger warnings for stillbirth (not a spoiler, it’s mentioned very early in the book). I thought I could handle reading past those points, but every time the narrator remembered her pain, it just sent me into a fit of tears remembering my miscarriage. I feel awful for not finishing this because I think this author is so tremendously talented and this book would be literally perfect for me if I could work past those sections, but I can’t, and even with the baby she finds and adopts in the beginning of the book, the narrator is so scared of losing her that it was sending my anxiety through the roofs thinking about how scared I was of the thought of losing my rainbow baby when he came along. So, yeah, if any of this sounds like something you can’t handle, please take care of yourself. ♥ If you can handle those TWs, then please pick this book up and give it the love it deserves. There’s also a content warning for very sad references to a former f/f romance that has been severed due to homophobia and the US’ mid-1900s general lack of acceptance for queer relationships. All quotes come from an advance copy and may not match the final release. Thank you so much to Redhook for providing me with this ARC in exchange for an honest review! State of the ARC #9—March was a little different than usual for me! Oh my gosh, I’m so sorry to hear how this affected you😥 I’ll be reading it very soon and thank you for the warning. Thank you so much, Tammy ♥♥ I really hope you love it, and please let me know when you finish it so I can make sure I don’t miss your review (regardless of what rating you give it in the end)! Wow! What an incredible review. I’m so sorry for your loss. I have a history of miscarriages in my family, and I’m thrilled to know that I was my mom’s rainbow baby. Thank you for sharing! Thank you so much, Laura Beth ♥♥ and I’m so glad you’re here! I first scanned over the review, and saw DNF and then 5 stars, and got really confused haha. But I can totally see why you DNF’ed this book, I’m sorry for your loss! Thank you for this honest and heart felt review. I’m sorry you’ve had that painful experience.